Architect Panganiban was recently conferred Fellow of the Royal Institute of Architects, Singapore, a prestigious title in recognition to his significant works, qualifications, achievements, professionalism and proven track records. Elevated to the UAP College of Fellows in the UAP, our Architect Panganiban is also a recipient of various titles, citations, and awards in the practice of the profession. He is the First “ASEAN ARCHITECT” and “APEC ARCHITECT” from Davao City, who practices design and build services with specialization in imported materials specifications. 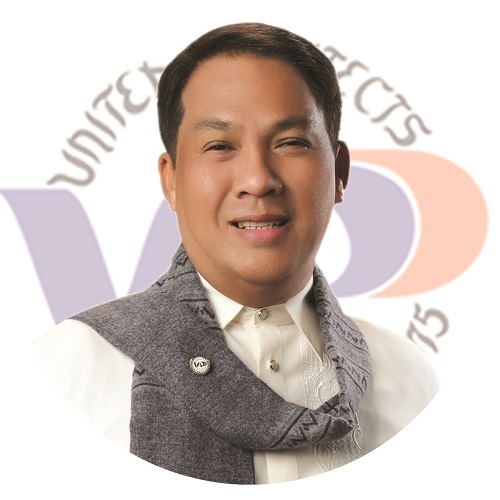 He took up studies in Master’s in Business Administration at the Ateneo, and his Bachelor of Science in Architecture degree at the University of Mindanao, together with his Bachelor’s degree in Military Science and Tactics as a scholar. His early formative year in college was at St. Joseph’s College in Victoria, Australia. He was once a teacher in the College of Architecture of the University of Mindanao. That is why his love for teaching and imparting knowledge, and mentoring the Architects, architectural students and the aspirants to the profession has led him to institutionalize in Davao City his ARCHITECTS EDUCATIONAL SERIES, his pro-bono service. He was the architect instrumental in bringing the ARCHITECTS LICENSURE EXAMINATION (ALE) to Mindanao thru his UAP Kadayawan Dabaw Chapter recognized by the PRC, where now the Architectural graduates of Mindanao and their surrounding areas such as the Visayas, Brunei, Singapore and even Malaysia have taken their exams in Davao City. This is his way of giving back to the community what architecture has blessed him. He is a hardworking man of passion, patience, commitment loyalty and dedication and firmly believes, he should try to be a person, not of importance, but rather a person of value. Architect Panganiban is the 26th National President and the first National President of the United Architects of the Philippines from MINDANAO.